As regular readers will know, our blog is full of advice on how to assess and reduce the risk of Legionella in rental property. For the majority of landlords, a series of simple precautions will enable them to manage the risk adequately, but for some properties – particularly larger buildings with more complex plumbing arrangements – it may be worth considering investing in ‘anti-Legionella’ systems to help control bacterial growth. In today’s blog, we look at some of the options available. The majority of such systems are focused on water temperature as a way of controlling bacterial growth; by ensuring that water is regularly heated to 60°C, you will kill off any bacteria lurking in the plumbing (over 90% of Legionella are killed in under 10 minutes at 60°C and in around one hour at 55°C). The first step is to make sure that your water reaches this temperature at least once a day, so we’d advise doing a temperature check (you can find out how to do this here). If you find that water temperatures in your system fluctuate, or you want to be sure that the necessary level is reached each day, there are various systems available to help. An anti-Legionella thermostat acts independently of your hot water system to heat water in your cylinder to the required level. Every time it comes on it will heat the water up to 60°C or more, and keep it there for an hour, and you can set it to do this as often as you see fit (probably daily, but in some cases it could be weekly). If you want to be sure that, regardless of other heating settings which your tenants might have altered, your water is getting properly heated to kill Legionella bacteria regularly, this could be a good solution for you. One thing to remember is that if the cylinder thermostat get interrupted during the heating process, it will just keep restarting the whole process over and over again; for instance, if you have a power cut or the boiler thermostat is set too low. If you need to reset the system then you can turn it off then on again, ideally at a time when there is plenty of hot water available (e.g. early in the morning before the household starts showering, washing up etc.). The solar power industry is predicting that there will be over 10m solar panels on British roofs by 2020, so it’s worth looking at how this might impact on Legionella control. Increasing numbers of houses are using solar technology to provide heating and/or hot water but, given the unpredictability of our sunshine patterns, it’s important to have measures in place to ensure that water is heated to a high enough temperature regularly. As with the cylinder thermostat, it’s best to programme the anti-Legionella function to run when there is little or no water draw off (i.e. outside of normal water usage hours), which will mean the cylinder heats up quicker. Traditionally, solar-powered systems are designed to allow hot water to stratify, with the hottest water at the top of the cylinder, the cold water feed towards the bottom, and the system return in between. During the anti-Legionella cycle, it is essential that the cylinder is mixed evenly to the minimum 60°C temperature, using a de-stratification pump. In most cases, it will be necessary to reheat the water as the mixing occurs, and to maintain the temperature at 60°C for a minimum of one hour. If solar energy is available during the cycle, this can be used to heat the water at no cost. However, if there is insufficient solar energy, then an auxiliary heat source will need to supply the heat input. Thanks to developments in digital technology and the advent of the ‘smart home’, you can now control many aspects of the home environment – including water temperature – from your mobile phone. The third generation Nest Learning Thermostat has a built-in bacteria prevention feature designed to control the risk of Legionella in domestic properties. It works with both on/off hot water systems as well as OpenTherm situations and, with its Home/Away Assist mode, you can control everything at a distance. The Bacteria Prevention mode will be automatically activated if the water wasn’t been heated for at least two consecutive hours in a 48-hour period but, if for any reason you need to override this, you can do so from your phone. Aside from temperature controls, another important anti-Legionella measure is to keep water turning over regularly, to prevent stagnation and the formation of biofilm. One area of the plumbing system where stagnation could become a problem is in the expansion vessel, and one solution to this could be an anti-Legionella valve to maintain circulation. Such valves essentially convert a standard single connection expansion vessel into a ’flow through’ type, by separating the inlet and outlet water supplies, meaning that the water in the vessel is continually renewed. 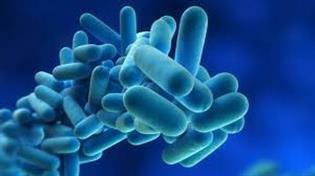 If you need advice on any aspect of Legionella control, including anti-Legionella systems which may be suitable for your property, please get in touch. We’d be happy to help.